The patent pending Vault Plate completely re-configures the stress points between the BK Hybrid Tip, R-Break Shield, R2 molecular multi-density foam, and carbon fiber composite tube to create a construction that is stronger from every axis with less mass and a higher level of kinetic energy transfer. 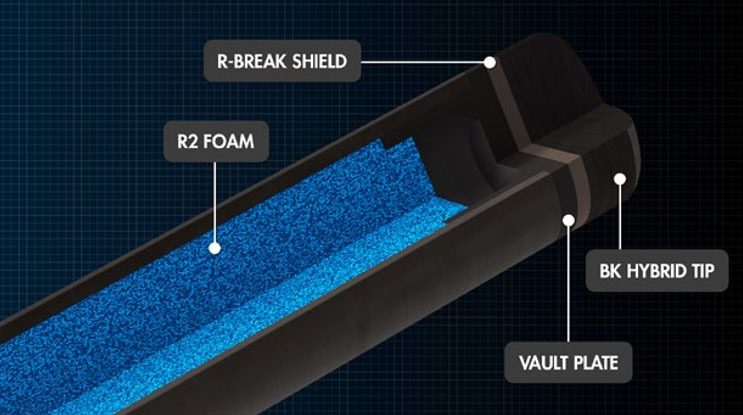 The R-Break Shield, developed from FR4 composite creates a stronger and more tactile bonding surface that not only protects the Vault Plate, but also provides the power of a phenolic break tip – with the control of the BK Hybrid Tip. 7The BK-Hybrid tip is comprised of seven layers of premium leather injected with our hybrid additive to create a tip that offers an exceptional hardness rating (transferring more energy) with increased control and improved chalk adhesion. 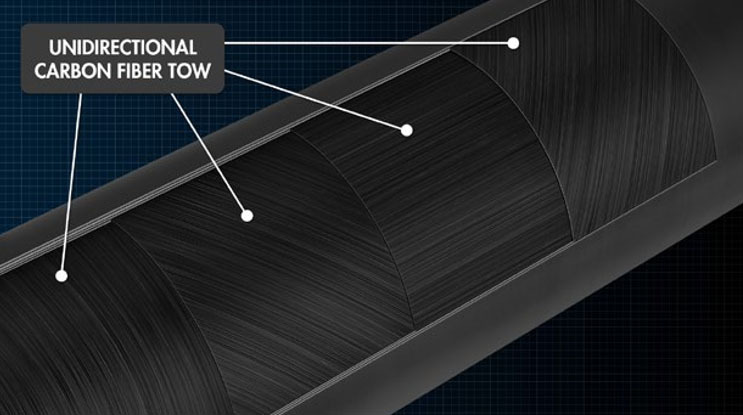 Woven fibers have long been the expected standard of carbon fiber construction, but they are not necessarily the best for every application. We have long recognized both the strength and the function of carbon fiber weave, however, recent advances in fiber technology and construction techniques have led Predator to take a different design approach. Previously, a woven fabric was the norm for the outermost covering of any carbon component. 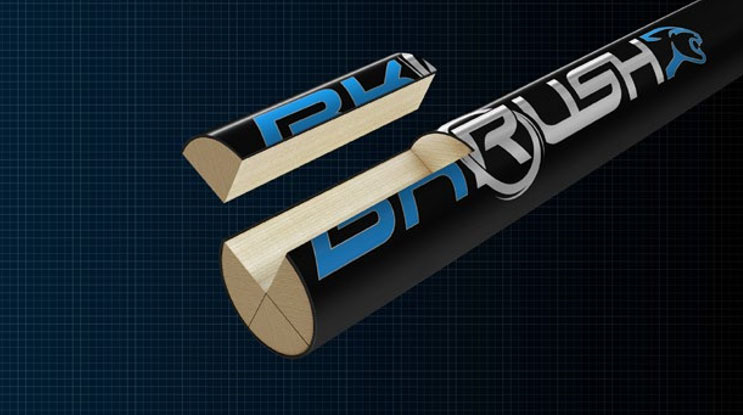 Now, new aerospace grade carbon fiber tow construction methods and new fiber placement theories allow us to tune the REVO BK-R shaft by orienting the carbon fiber tow in the directions most suitable for specific locations in the REVO BK-R shaft itself. 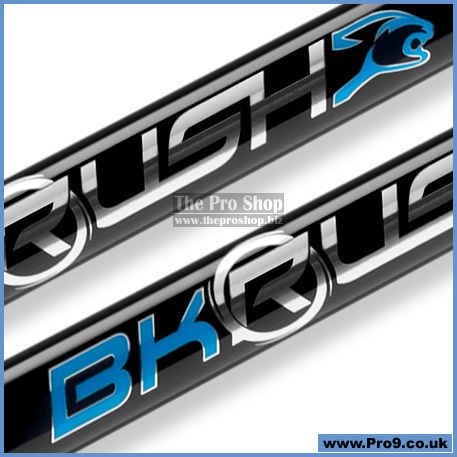 BK-Rush’s four-piece fused construction eliminates the need for an A-joint while maintaining exceptional strength. 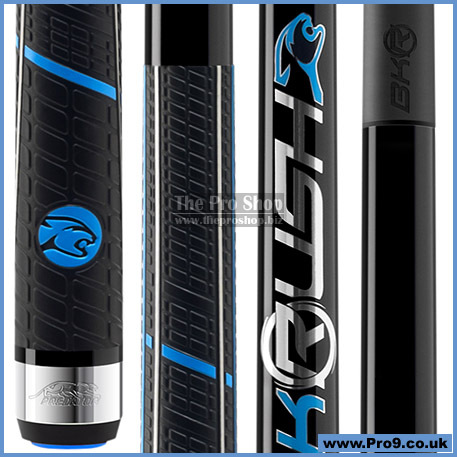 This elongated reinforced construction transfers energy more seamlessly while providing a remarkably solid feel. The result of extensive research and testing by top pros. 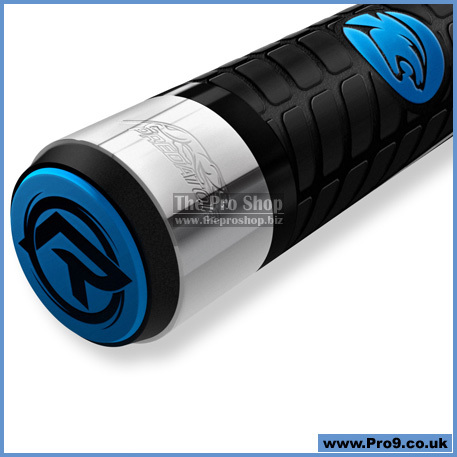 By increasing strength and stiffness without additional weight, the balance point of the cue was recalibrated to more effortlessly harness player power.